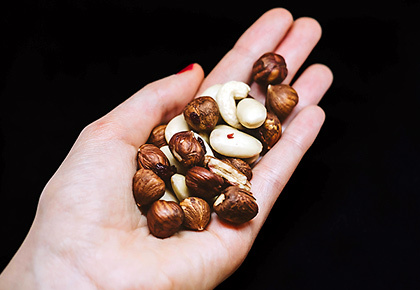 Eating nuts daily may prevent weight gain and provide other cardiovascular benefits. Two separate studies presented at the American Heart Association's Scientific Sessions 2018 in Chicago tried to show the benefits of eating nuts daily. One study analysed the influence of eating nuts and peanuts on long-term body weight in US men and women. The other study examined whether eating Brazil nuts could increase a sense of fullness and improve glucose and insulin responses. In the analysis of nuts' impact on weight, researchers followed health professionals who were free of chronic disease at the start of the study. They found that eating one one-ounce serving of any type of nuts or peanuts, in place of foods generally considered low in nutritional value, was associated with a lower risk of long-term weight gain and obesity. A serving of nuts is defined as one ounce of whole nuts or two tablespoons of nut butter. 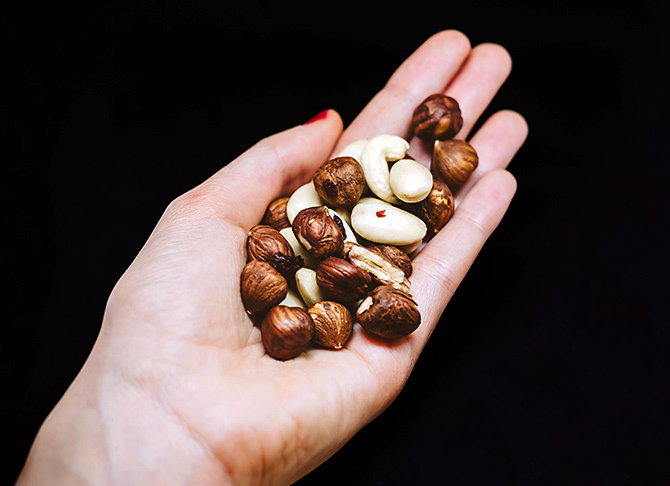 "People often see nuts as food items high in fat and calories, so they hesitate to consider them as healthy snacks, but they are in fact associated with less weight gain and wellness," said first author of the study, Xiaoran Liu. "Once people reach adulthood, they start to gradually gain about one pound a year of weight, which seems small. But if you consider gaining one pound over 20 years, it accumulates to a lot of weight gain. Adding one ounce of nuts to your diet in place of less healthy foods -- such as red or processed meat, French fries or sugary snacks -- may help prevent that slow, gradual weight gain after you enter adulthood and reduce the risk of obesity-related cardiovascular diseases." she said. The Brazil nuts and pretzels had approximately the same amount of calories and sodium. Participants ate either the nuts or the pretzels in two trials with a washout period of at least 48 hours to prevent carryover effects. The study found both Brazil nuts and pretzels significantly increased a sense of fullness and reduced feelings of hunger, with the greatest sense of fullness experienced by the group eating Brazil nuts compared to those eating pretzels. It also found that pretzel consumption caused a significant increase in blood glucose and insulin at 40-minutes after they were eaten, compared to the start of the trial, whereas eating Brazil nuts did not significantly increase blood glucose or insulin. "While both Brazil nuts and pretzels increased a sense of fullness after they were eaten, eating Brazil nuts stabilised postprandial (after eating) blood glucose and insulin levels, which may be beneficial in preventing diabetes and weight gain," said senior study author Mee Young Hong. Can whole grains prevent diabetes?